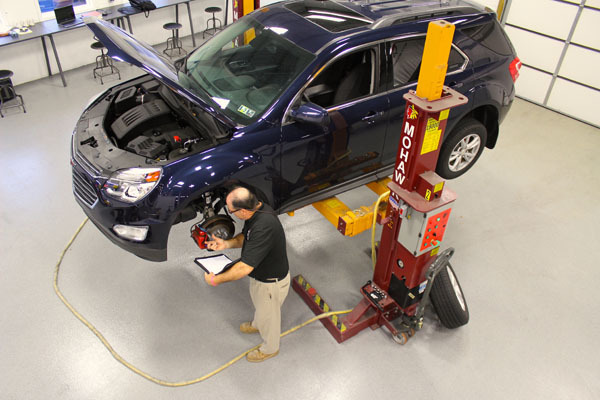 State-of-the-art inspection center and evidence storage facility for secure handling and preservation of evidence. The Forensic Storage and Technology Center (FSTC) offers a state-of-the-art inspection center and evidence storage facility for secure handling and preservation of evidence; a clean and well-lit conference room; wireless internet access; and an adjacent aerial viewing platform to oversee the inspection process. 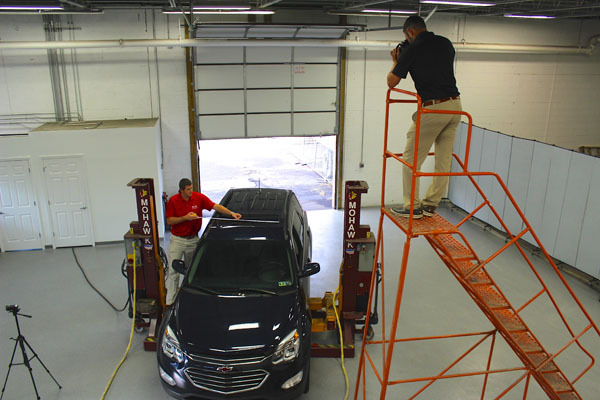 The FSTC is located minutes from company headquarters, and is easily accessible from the Pennsylvania Turnpike. An aerial viewing platform adjacent to the conference room allows for clear observation of all aspects of the inspection. Over 10,000 square feet of climate-controlled, organized evidence storage. Conference room equipped with wifi and a presentation TV. Reserve the tools you need so you can travel with ease. 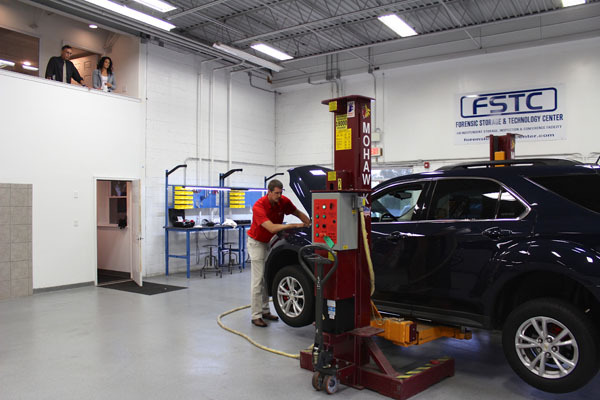 The inspection bay at FSTC provides you with specialized overhead and portable work benches for private and convenient evidence examination, a wide array of tools and diagnostic equipment, and a clean, organized space for all types of investigations. The Forensic Storage and Technology Center, with its state-of-the-art design, meets the investigation, evidence storage and conference needs of law firms, insurance companies, law enforcement personnel and engineers. Clients have access to the FSTC 24/7 so they can access their evidence at any time. The FSTC follows a strict chain of custody protocol based on police department evidence procedures. Upon arrival to the facility, all evidence is bar coded for quick and accurate reference. 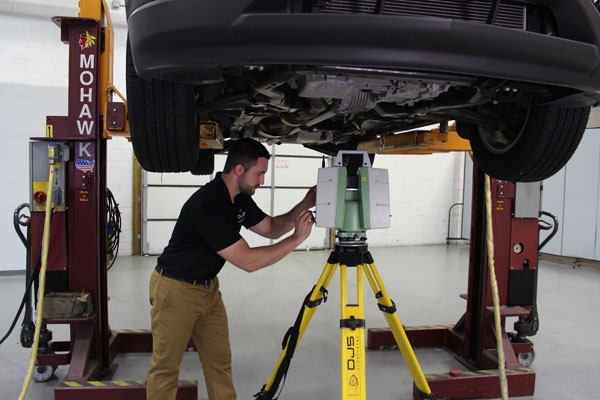 When using the Forensic Storage and Technology Center for inspections, we provide you with all the tools and technology you need. Allowing you to leave your heavy equipment at home. Inspections Can Last Hours - We Have the Amenities You Need! 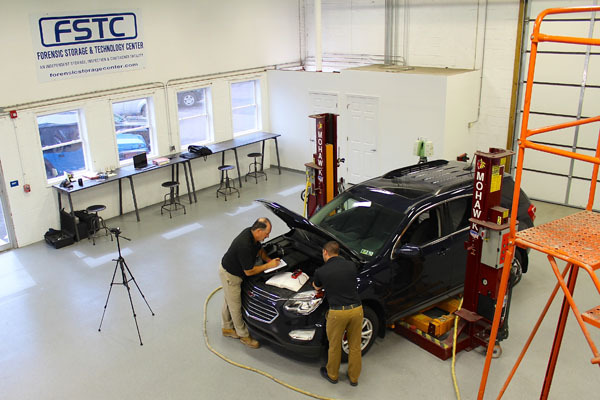 From a conference room equipped with wifi and a presentation TV, to a kitchenette stocked with refreshments, the FSTC has everything you need for a long inspection. within 24 hours - usually much quicker. DJS Associates offers a spacious and secure Forensic Storage & Technology Center (FSTC), located minutes from company headquarters, and easily accessible from the Pennsylvania Turnpike. 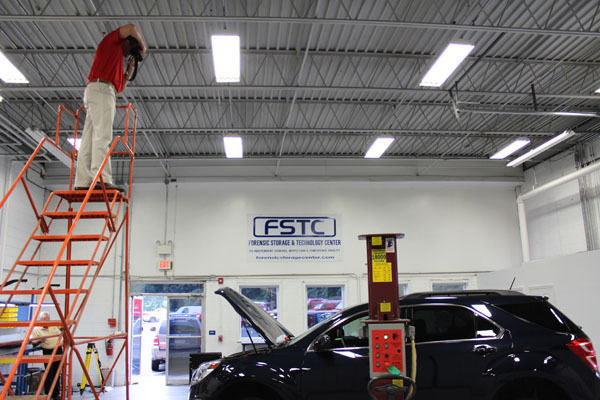 The FSTC offers a state-of-the-art inspection center and evidence storage facility for secure handling and preservation of evidence; a clean and well-lit conference room; wireless internet access; and an adjacent aerial viewing area to oversee the inspection process.